Aricept, which is comprised of Donepezil, is used to treat dementia—a common disorder that affects the brain’s ability to think clearly, communicate, remember and perform daily functions. Aricept uses are delegated to the fight against dementia and Alzheimer’s disease. Aricept is in a class of drugs known as cholinesterase inhibitors. When asking how Aricept works, one must understand that the drug aims to improve mental function; Aricept uses improve attention, social interaction, memory, language abilities, reasoning and the general ability to perform daily activities. When asking how does Aricept work, one must understand that the drug increases the amount of naturally occurring substances in the brain to improve cognitive abilities. Through this function, Aricept aims to improve the ability to remember and think or impede the loss of said abilities in patients who have dementia or Alzheimer’s disease. That being said, when wondering how does Aricept work, it must be stated, that the drug does not prevent the loss of mental abilities in the future nor does it cure Dementia or Alzheimer’s disease. Aricept Uses: How Should the Drug is used? Aricept uses, as mentioned before, focus on the improvement of cognitive ability for patients with Alzheimer’s disease and dementia. 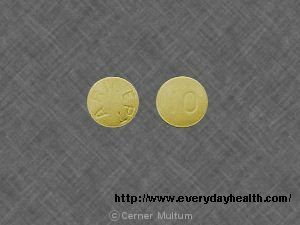 When asking how does Aricept work, one must understand that the pill comes in tablet (disintegrating pill) form and must be ingested orally. Aricept is taken once a day, at bedtime, with or without food. The pill should be taken at the around the same time every day. To achieve the effects of Aricept uses, a user must follow the direction on their prescription label—if the user does not understand a portion of the directions they are strongly advised to consult with their doctor or pharmacist. It generally takes a while to experience the benefits of Aricept uses; however, if the patient takes the drug as prescribed, cognitive function should improve within 1-2 months. How does Aricept Work: Aricept, as stated before, is the brand name of donepezil. This drug prevents the breakdown of Acetycholine, which is a chemical that is vital to a person’s reasoning, thinking and memory. Because of its ability to stabilize Acetycholine, Aricept is the most widely prescribed drug to combat Alzheimer’s disease in the United States. The Food and Drug Administration approved Aricept uses in 1996 for mild to moderate cases of AD and in 2006, approved Aricept uses for severe AD. So, when wondering how does Aricept work, realize that the drug improves the function of the Brain’s nerve cells by reducing the destruction of acetylcholine. Acetylcholine, when viewing how does Aricept work, sends messages to the brain’s nerve cells to ignite memory, thinking and reasoning functions. By reducing the breakdown of this chemical, the symptoms associated with AD slow down. When asking how does Aricept work, understand that the drug’s effectiveness—because of different Aricept level sin patients—will waver from patient to patient. When evaluating Aricept uses, please be advised that the drug comes in five milligram and ten milligram tablets. Few patients experience persistent or severe side effects; however, the drug may cause nausea, loss of appetite and diarrhea.